Pumpkin carving has almost become very competitive and elaborate. 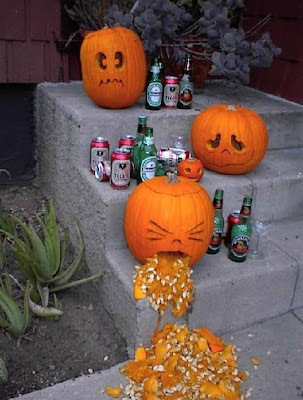 This Halloween, find some inspiration and bring a bit of humor when carving your pumpkin. A friend sent this photo with me and I had to share. Enjoy! This entry was posted in Craft, Halloween and tagged Halloween, pumpkins. Bookmark the permalink.